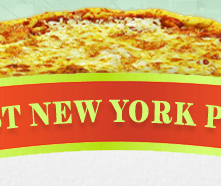 New York Pizza, Ice Cream and Sushi for over 15 years! We are Cholov Yisrael, Pas Yisrael, Yashon and under the strict supervision of the Star-K Kosher Certification. 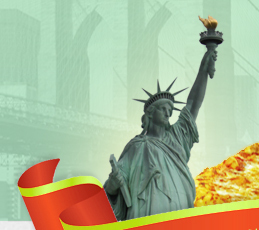 Our NY Falafel, Calzones, Ice Cream, Knishes, Cheese Pretzels, French Fries is made from the finest quality. Stop by our shop and see what everyone's talking about. Spanish Special Buffet Coming Soon on Sunday!